You are at:Home»Uncategorized»Have you Heard of Trades of Hope? and a Giveaway! about how I became involved in the company by clicking HERE. You may remember how I shared the Trades of Hope story and a few jewelry and home decor pieces in the past. Recently I was excited to purchase The Victory Necklace. I LOVE it! You can purchase it too and there’s still time to order it in the month of October where 100% of the net proceeds will go to Bras for a Cause to benefit Breast Cancer Awareness. I trust that the Trades of Hope team is making prayerful decisions in who they are working with. 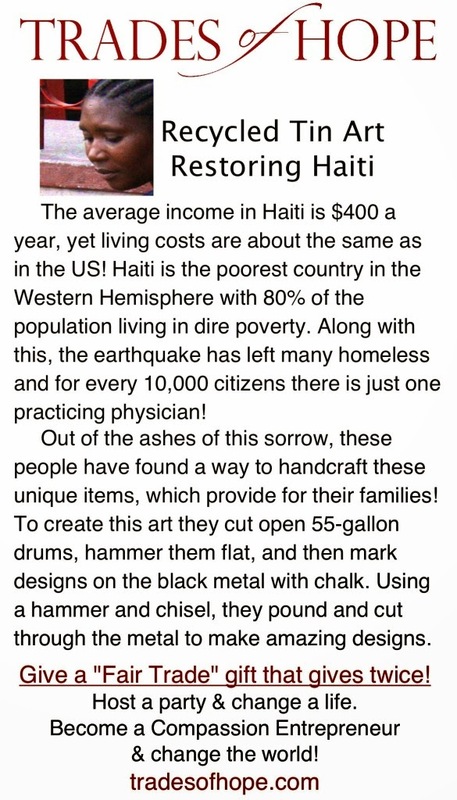 I trust that the company is real in their love for changing the lives of others as one of my friends was blessed to experience it first hand recently participating in the Trades of Hope Haiti compassion trip. 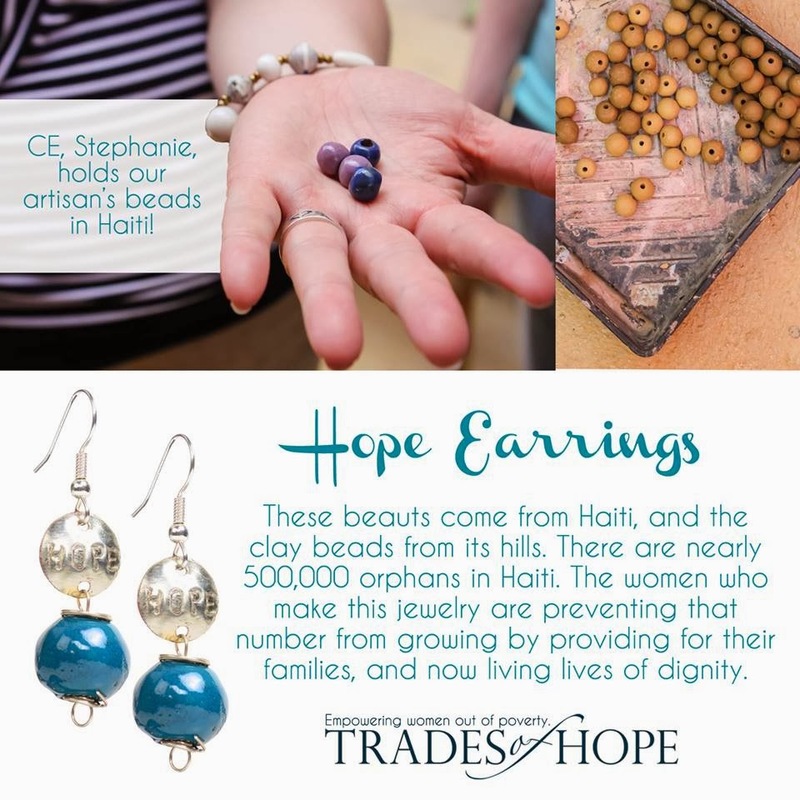 CE, Stephanie, pictured below, displaying the Hope Earrings, is my friend in real life. I am proud of her for giving up her time to witness the true compassion of the Trades of Hope mission and meet and bless the artisans in Haiti with her love. Here is a sampling of some of the products that are for sale right now at a great price! Everything is listed under $50! How easy to Shop for a Cause and in turn looking fabulous for yourself! And what about a friend or a loved one? The holidays are quickly approaching and for a small shipping fee ($4.95 in the US) these items can be delivered directly to you within a few business days! 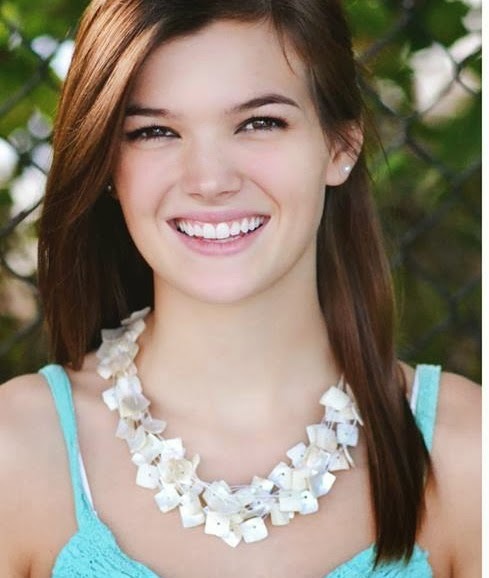 Another new fave is The Cori Necklace – so pretty. I wore it the other day with a cream blouse and got so many compliments! 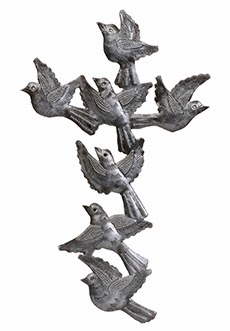 There are also some great decor items, like this fabulous Freed to Fly Cross made out of recycled materials. You know how much I love repurposed items, well this one is the real deal! If you are able to peruse through the website you will be blessed to read about each artisan as each handmade item comes with a beautiful bio card describing the origin of each unique piece. What a great gift to give someone and to share the life changing story at the same time. And finally, it is officially Fall and that means SCARF WEATHER! 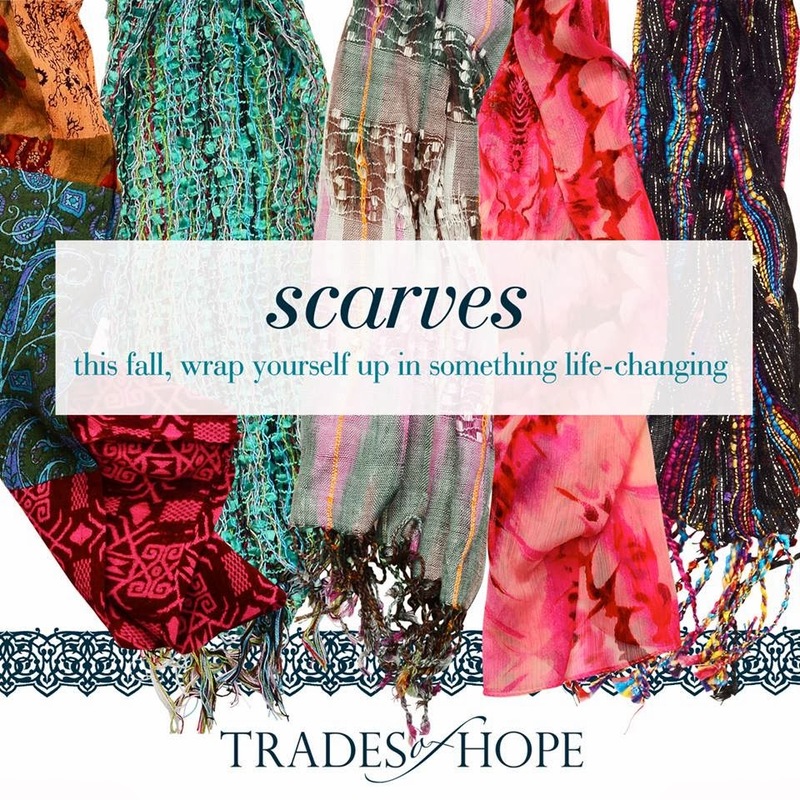 I am giving away ONE Trades of Hope scarf for free (the Indian Plaid Scarf and the Metallic Scarf`valued each at $26) to the first TWO Curb Alert! readers that order ANY Trades of Hope products from my website. Anyone is eligible, blogger or nonblogger. They will notify me of completion of your order and if you will notify me as well at mail(dot)curbalert(at)yahoo.com I will be sure to send you your free gift as soon as possible. I just could not help but to fall in love with this company and their entire concept. If you do not feel compelled to purchase a Trades of Hope item today, then I urge you to read about the Trades of Hope Story and maybe share it with others. Thank you so much for allowing me to share my Trades of Hope story with you and appreciate your interest. Next Article Google Plus Link Party Hop!